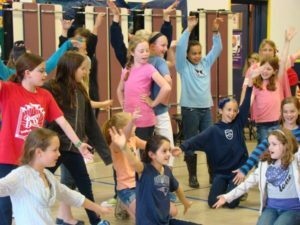 Our collaborative musical theatre events bring the Performing Arts experience to children in grades 1-8 in East Bay area schools. We believe (and studies support) that all children and teenagers can reap immeasurable benefits by participating in the Performing Arts. Below you find the guidelines we use to ensure that each and every show is a success. The Arts Alive! 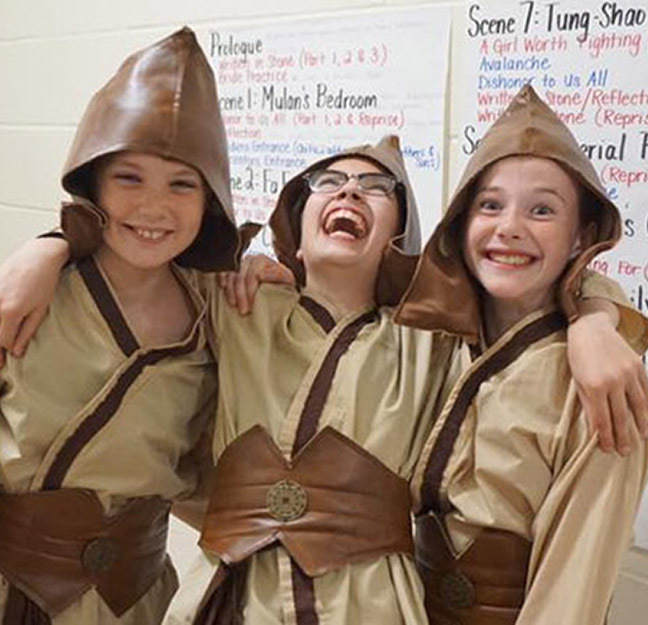 Creative Staff researches licensed theatrical packages to find suitable plays that we believe the children will enjoy and learn from, and that can potentially accommodate a large cast. Arts Alive! works directly with each school’s Principal and PTO to select a production package unique to and financially feasible for their school, and that can also complement curriculum or Art Themes. This partnership is the backbone of our community-driven organization. Our goal is to find the right part for each child. Our job is to build the confidence and skills of every child, and not every child wants to be in the “spotlight.” In some cases, the safety of being in an ensemble, but still a part of the production as a whole, can be the best way for a child to grow individually. Others might already have skills and experience, and might be ready for the challenge of a more demanding part(s). 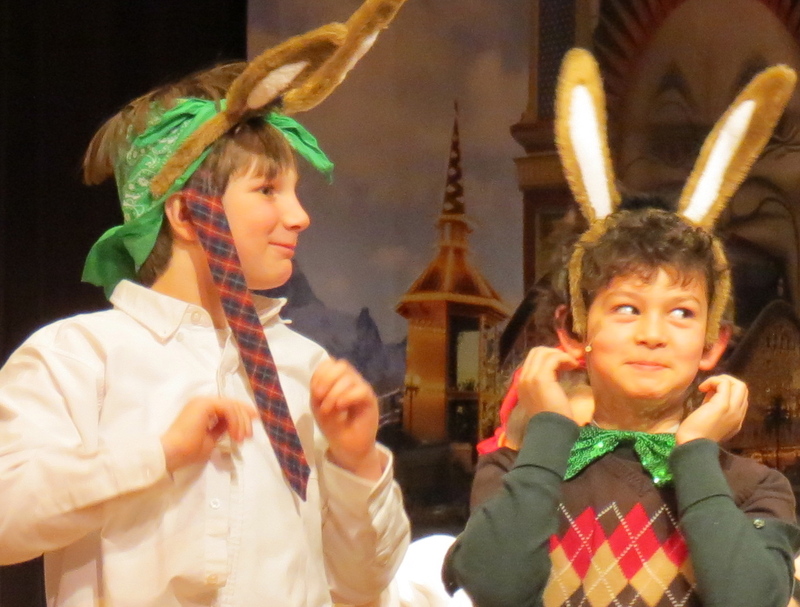 We encourage the children to learn the importance of “ensemble acting” – that everyone is important. 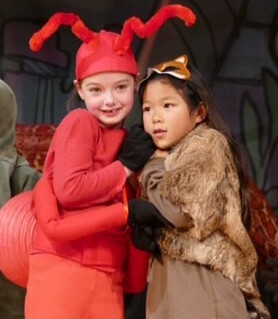 We invest many hours into casting each school play to ensure that each child has meaningful stage time, and is in multiple scenes and musical numbers. “Lead Roles” are generally shared among two or more actors to give more children the opportunity to play parts for which they are well-suited. Most importantly, we try to select a part for each child which showcase his/her personal talents. As children grow in confidence and skills from year to year, they are given more responsibility. Parents should discourage children from “counting their lines” and comparing to others’ in the play. The number of lines has nothing to do with the size of a performance. The smallest of roles can be the most memorable! Your school’s Arts Alive! 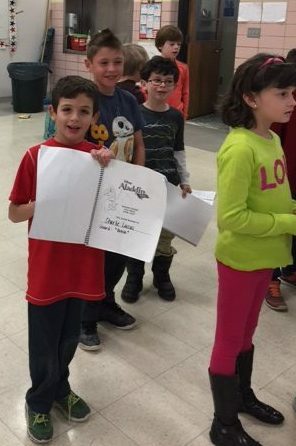 Director will then distribute the Cast List and Script. Your child should read the script, in its entirety, to fully understand the plot and characters, and listen to all the show’s music, which is available on the respective school pages on our website. Each child should develop a working familiarity with the entire show. During the rehearsal process, the cast becomes an ensemble and, together, builds a show. Rehearsals are generally held twice a week after school. Additional rehearsals are sometimes scheduled during school holidays. You will receive a detailed rehearsal schedule prior to the first rehearsal. Please mark your calendars at that time! Depending on the scenes scheduled, your child may not be called to every rehearsal. Please bring a peanut-free snack and beverage, along with your child’s script to each rehearsal. Children are expected to work on their lines and music at home. They should come to rehearsals prepared for the scenes scheduled, and ready to listen, try hard, have fun and be respectful of others. Each cast member should exhibit good behavior during rehearsals. Hitting, pushing, yelling, name-calling, running, or another disruptive activity will not be tolerated. School rules are in effect during rehearsals. If a problem behavior continues, a child will be asked to leave the Program. The Arts Alive! Discipline Policy can be found here. We ask that children are picked up from rehearsals on time. Children must be signed out by an approved pick-up person (as indicated on your registration). A note must be sent to the school for any occasion where a child will be picked up by someone other than those on his or her approved pick-up list. It is very important that each child, with family support, commits to attending every rehearsal for which s/he is scheduled. Theatre is no easy task and the absence of even one actor can affect the whole cast and stall rehearsals. We adhere to a rigid rehearsal schedule. When children are missing, it results in backtracking during future rehearsals to accommodate the missing cast members. Please consider your family’s other commitments to activities and weekend excursions before registering your child for the School Play Program. Extensive absences may result in your child’s part(s) being recast or in your child’s removal from the Program. Where the magic of theatre comes to life! The culminating events of the program are the performances during which the cast functions as a working team to showcase their hardwork. Tech and dress rehearsals can be long and tedious requiring patience and a great deal of concentration. However, through this process the cast learns the “professional” side of the theatrical experience and polishes their show before premiering it to a live audience. Each school play stages 2-4 performances for the public. Arts Alive! communicates with families via email and website updates. Please be sure that we have your current email address. You may also receive communications from your school’s PTO Liaison. All school play information is posted on the Arts Alive! website www.artsalivebarrington.org. Select your child’s school from the top navigation menu to access rehearsal schedules, music for practice, and other relevant production information. Notices are sent via email every week. Additionally, information may be shared via a private Facebook page specific to a school’s performance as well as via text reminders. 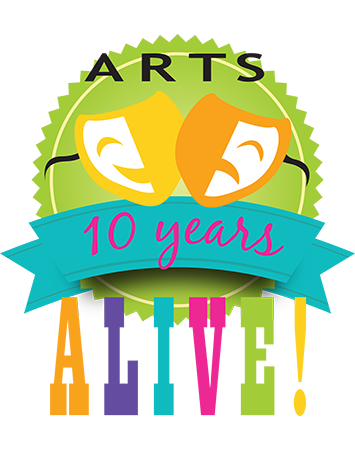 Please contact us at admin@artsalivebarrington.org with any questions/concerns. Arts Alive! employs only professional, trained artists to give your children the highest quality of instruction. We hire professional technical staff, all of whom are paid to assure that they are giving the highest level of commitment to the program. Registration fees cover some of these expenses and box office (75% of ticket sales) covers the rest. Arts Alive! relies on each school’s generous volunteers for extra support. In return, we donate 25% of the gross box office proceeds to the school’s PTO. Arts Alive! also offers scholarships to families who want to participate, but who may be experiencing financial hardship. Graphic design for program booklet, tickets, posters, etc. Please let us know your areas of interest or expertise. You can sign up to volunteer on your child’s registration form or via email. Your time and contribution is valuable to the creative staff and children. Thank you for considering to volunteer for your child’s school play!